This class of battleship was first proposed during the latter half of the Resolute War by the Romulan admiralty in a desperate attempt to build capital warships that could halt the joint Federation-Klingon advance into Imperial space. 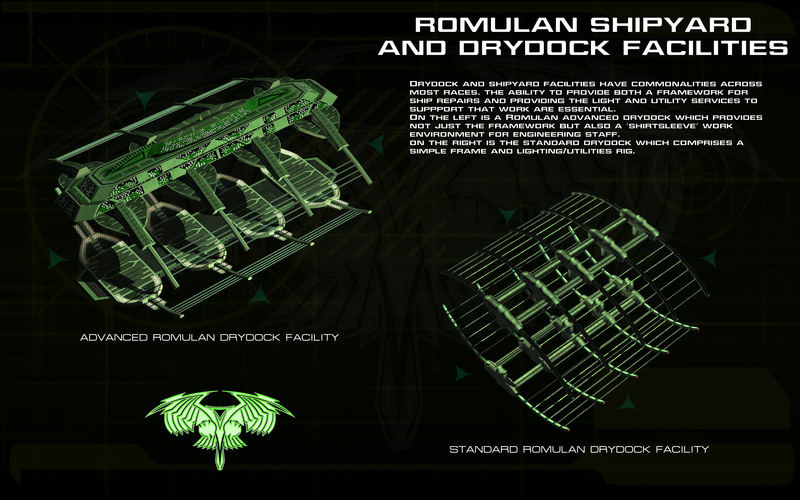 Apparently none were ever finished but rumors of a special "bolthole" shipyard in the Romulan Outer Territories were said to have half a dozen under construction when Romulus was destroyed and the Empire finally surrendered to the Allies. According to Starfleet Intelligence, the possibility of these ultra-deadly warships being completed in the near future is not impossible. 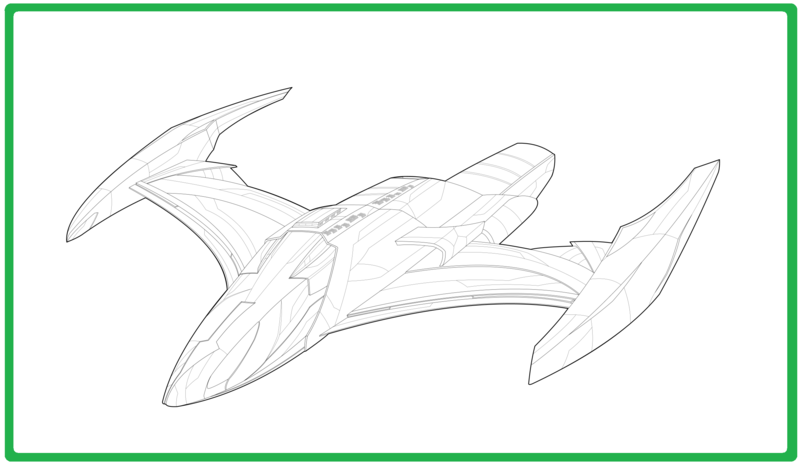 As the Romulan Star Empire slowly collapsed under a joint attack by the United Federation of Planets and the militant Klingon Empire, its ship designers began to create new much smaller starships to help its overburdened shipyards. 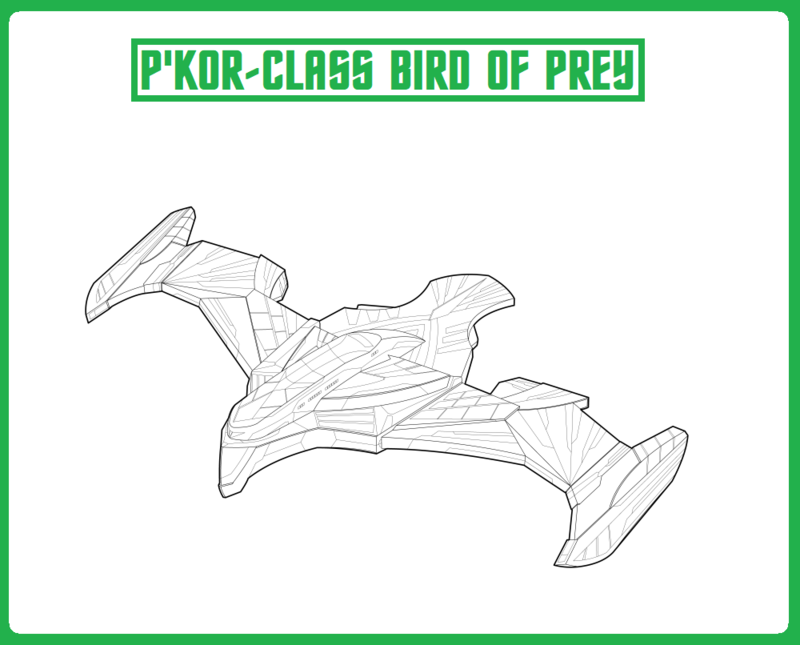 One of these (the P'Kor-class Bird of Prey) was an exceptional example of Romulan ingenuity and ruthlessness. Designed to be cloaked until it reached knife-fighting range, the P'Kor-class had a fifth generation cloaking device that was completely undetectable to Allied sensors. This small vessel was also capable of firing a limited payload of military-grade torpedoes while cloaked, and more than 300 of these small ships were built by the Romulans before the war ended, with each having just 24 crew. 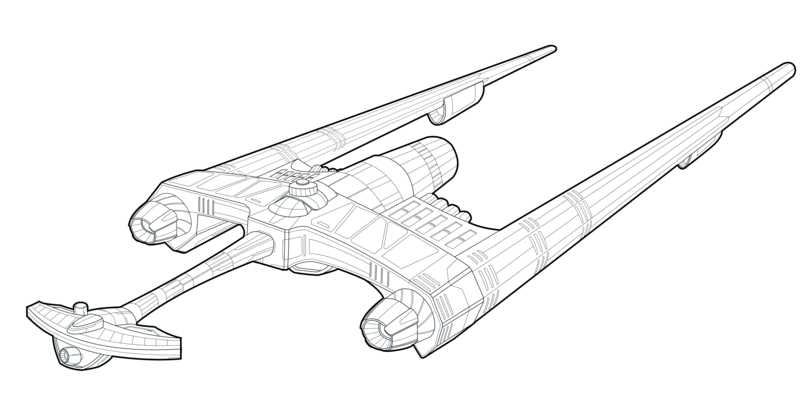 When final military resistance ended in the Star Empire, several dozen of these micro-ships went "rogue", disappearing off the rosters of the Romulan Imperial Navy. Later they showed up all across the Alpha and Beta Quadrants, raiding commercial shipping and striking random enemy military targets that seemed weak. Being easy to maintain and man, these Birds of Prey were a continual threat to unescorted commercial shipping in the Federation and Klingon space well past 2450 AD. The Cabot-class tanker was built in small numbers (less than 30 ships) for use in the UFP Annex Zone. 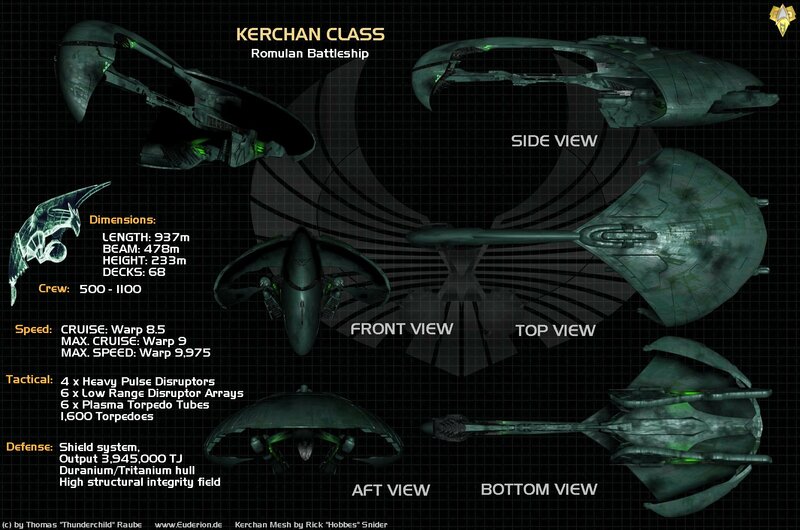 Primarily made in the Kostolain Yards, they had a small crew (just 12 people) and they hauled important fuel within the Federation, mainly deuterium. 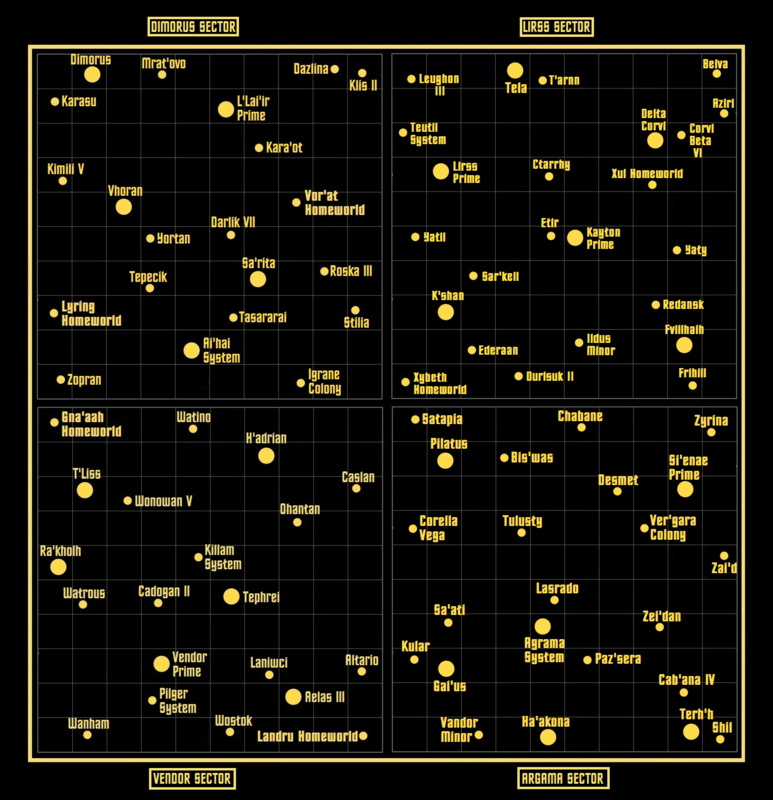 Only two were ever lost in combat, the USS Trenton City outside the Pellok Nebula and the USS Hardwood City en route to Starbase 123; both ships were lost with all hands. 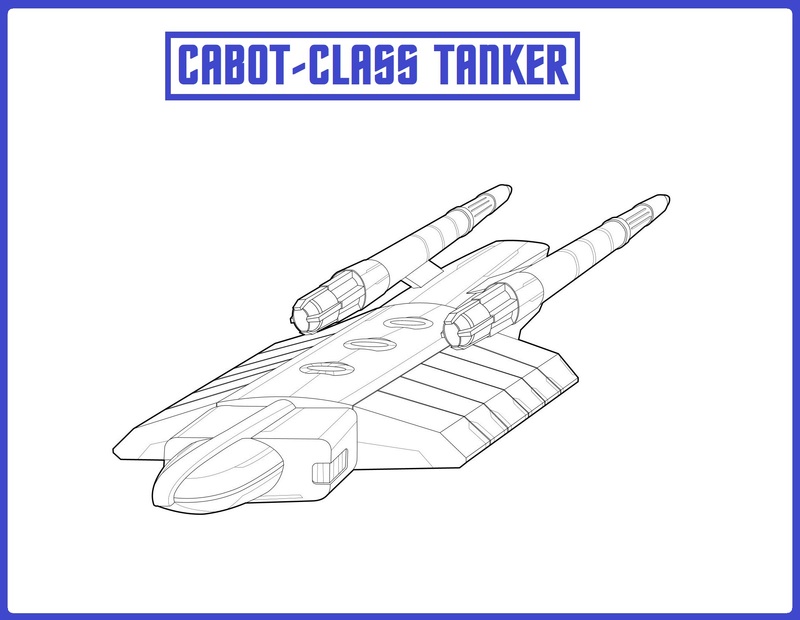 These small tankers provided a critical refueling role within the Annex, a region barren of most deuterium sources, and a small number of these starships carried highly classified antimatter cargoes. The entire line of ships was retired after the Resolute War and kept in storage at the Gemini Superior Storage and Repair Facility in Federation space. This experimental class of warship was the final culmination of the failure of the Klingon Empire to perfect the transwarp drive, and the conclusion of a successful spying program against the United Federation of Planets. 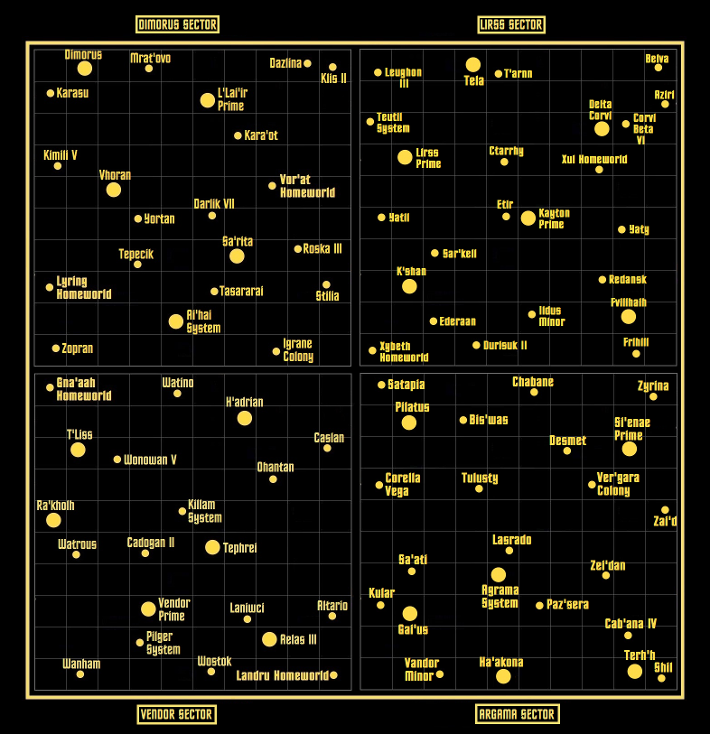 For more than fifty years the Federation and Klingons have been in a joint alliance, but its main focus was not on military issues but rather economic and social ones. To this end, Starfleet Command kept its defense programs top secret and shared very little with their Klingon counterparts, and that prevented the sharing of transwarp drive technology. UFP scientists had been working on the high-level warp drive for more than a century but it had little to show for it, and the Klingons too had been working on a similar warpspeed project, again with poor success. Eventually the Federation made a breakthrough in this area with the Velocity Project, which the Klingons promptly stole from them. 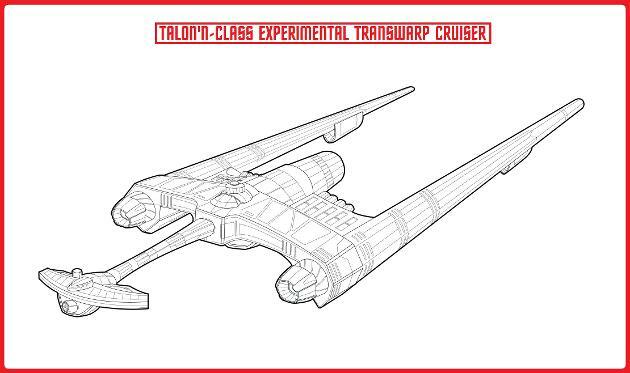 The Talon'n-class experimental cruiser is the end result, and towards the end of the Resolute War it was first field tested, deep within the Klingon Empire. This warship was eventually used in the scout role and only two dozen were ever made; they were just too expensive and too limited to justify widespread construction. 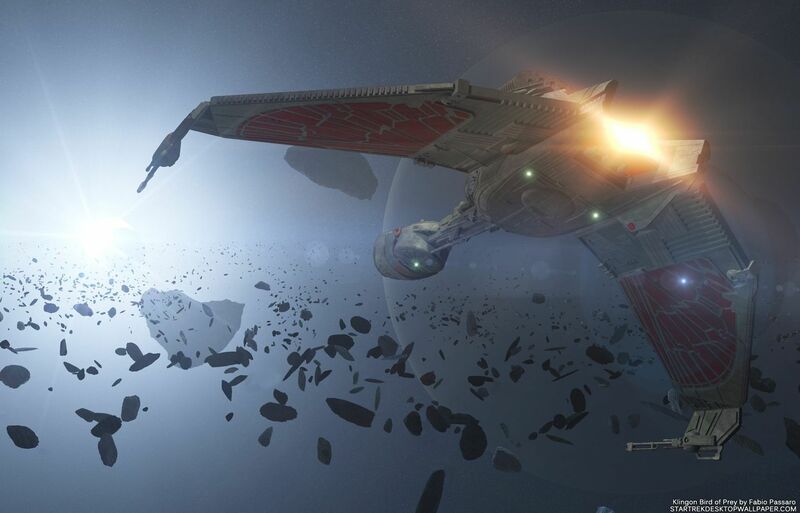 Towards the end of the Resolute War (in 2374 AD), the Romulan Empire began staging deep penetrating raids into Federation and Klingon space after the Battle of Two Suns, in which the Empires primary warfleet was decimated. The Romulan military command insisted on starting this new style of attack since the majority of its warships had been virtually annihilated. The admirals were eventually able to convince the Romulan Senate that these forms of combat were the only way to keep their enemies off-balance, while they attempted a last-ditch effort to try to rebuild their naval strength. One of these high-profile raids was into the United Federation of Planets Centauri Star System, and it was partially successful. 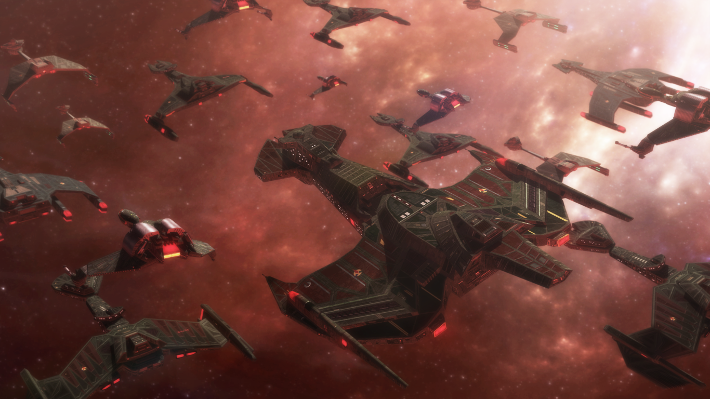 On October 15th, 2374 AD a dozen Romulan warbirds decloaked at point blank range inside the star system and began destroying the military defenses and its extensive civilian space infrastructure. 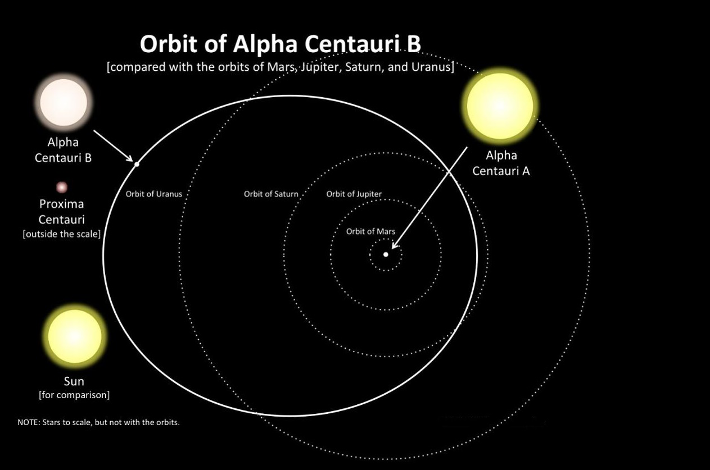 Being one of the Founding Members of the Federation, the Centauri people had almost immediately began arming their homeworld after the Resolute War broke out. 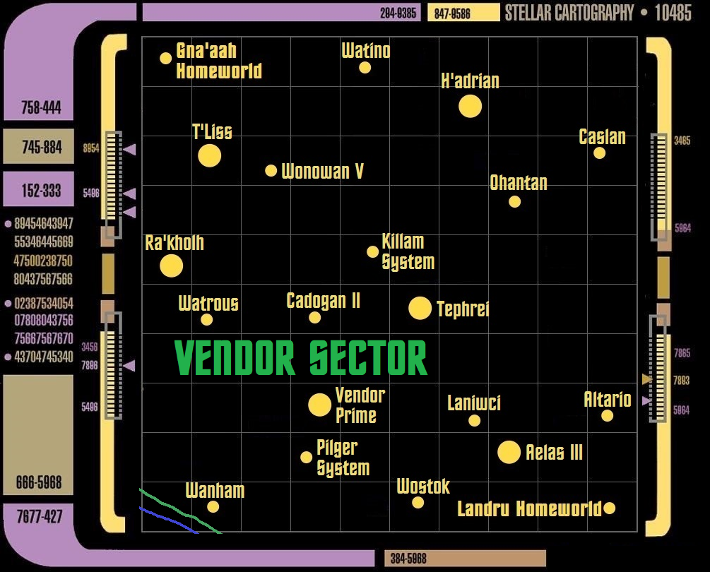 The Federations' fixed defenses were able to eventually destroy the invading Romulan vessels, but much of the star system took significant damage. This brutal attack shocked the Federation Council, waking them up to the new style of warfare that the Romulans would now be engaging in. After this suicide run by the Romulans, Starfleet Command shifted some of its starship deployments to a more "home defense" posture. Several other similar attacks by the Star Empire occurred against Federation and Klingon worlds, including a major assault against the Klingon capital world Qo'noS six weeks later. 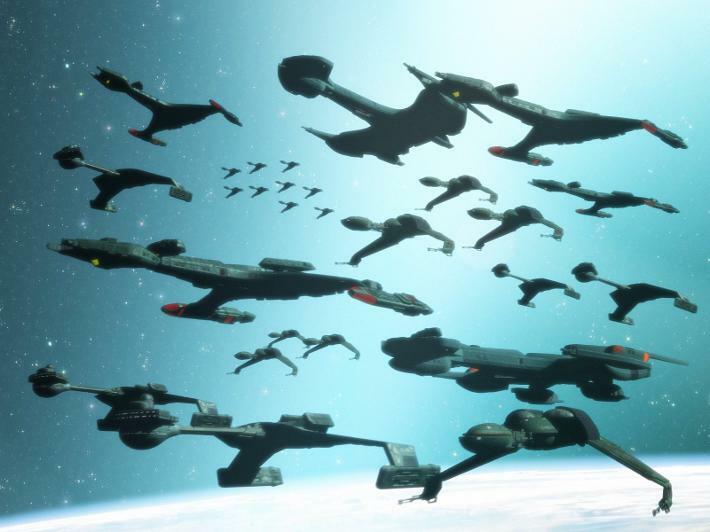 At the end of the Resolute War, the Romulan government and military became desperate to avoid defeat, so much so that they launched a surprise raid against the Klingon Homeworld in the last weeks of the war (September 2374 AD). While nearly 40 Romulan warships attacked the planet, a single warbird began a suicidal run towards the star systems sun, intending to detonate a tri-lithium device inside it and wiping out the Klingon leadership in one strike. This raid failed when cloaked KDF warships shot down all the enemy warships, including the Romulan vessel intending to detonate inside the Qo'noS star. 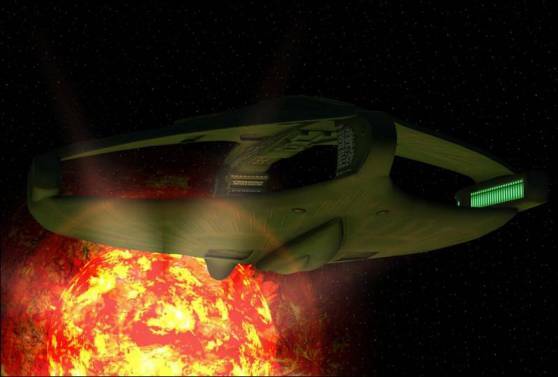 The response by the Klingon military was immediate and brutal; in retaliation in kind, a KDF transwarp battleship destroyed the supergiant star Hobus deep inside the Romulan Star Empire, killing billions of civilians and destroying both Romulus and Remus (as well as other nearby planets and bringing the Resolute War to a shocking end. It is said that during war, luck is as important as skill, and for the Klingon ship Rotarran that was more true than not during the Romulan raid against the Klingon homeworld Qo'noS on September 14th, 2374 AD. Sheer luck saw the Rotarran on patrol deep within the Qo'noS System near the end of the war since a light bird of prey would make little difference on the battlefields deep within Romulan space. However this warship literally saved billions of Klingons when it stumbled upon a Romulan D'deridex-II warbird making a suicide run against the Klingon homeworlds' sun. Armed with a immense trilithium-salted antimatter device, the Romulans sought to end the war quickly, one that they were losing so badly. Decloaking at minimum range, the RIN Dovoran began a high-speed run at the local star but the Rotarrans' crew spotted the ship almost immediately and gave chase, firing on the Romulan warship when they got into range. After a brief firefight, the Rotarrans' weapons finally hit the antimatter bomb located in the Dovorans' main hanger, detonating it in a immense explosion that destroyed both ships. 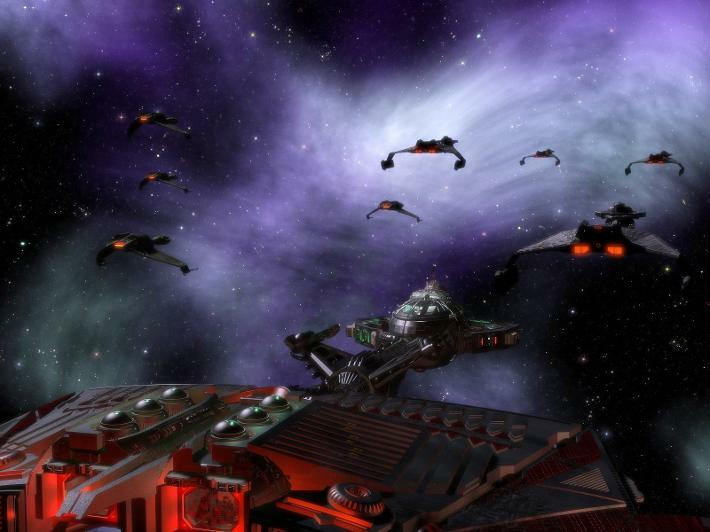 A week later the Klingons retaliated massively, sending a transwarp battleship on a mission of its own: to end the war. Within the Klingon Empire, the Rotarrans' crew would go down in history as the vessel that saved the Klingon Empire, with many newly born children being named after them. Located in the L'Riss Sector of the Star Empire, this extremely xenophobic alien race has been interdicted on their homeworld by the Romulans for centuries due to their intensely violent nature. During the Resolute War the patrolling Imperial Navy ships were withdrawn over time as the war began to worsen for the Romulans. 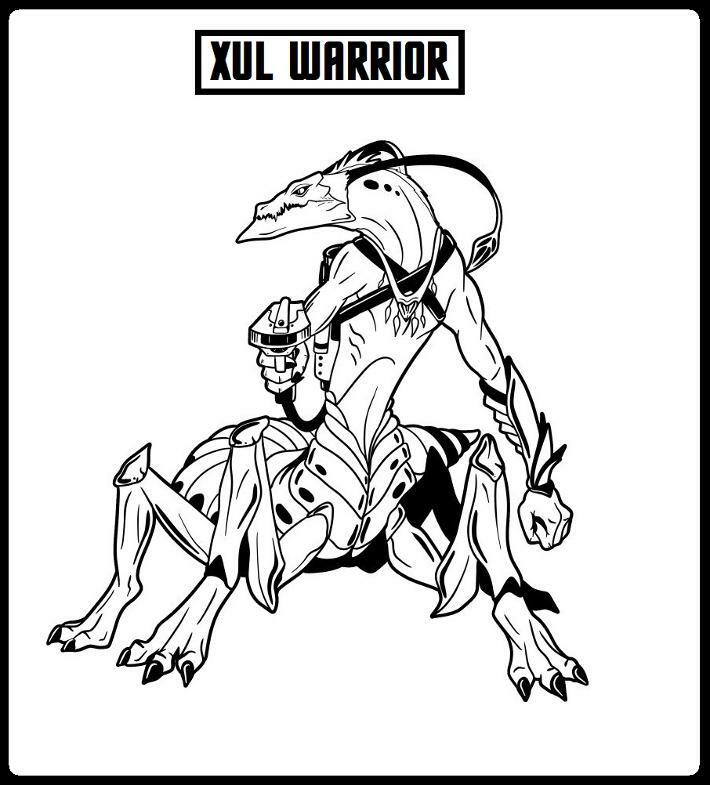 In the end, the United Federation of Planets became administrators of all alien homeworlds within the Star Empire, including the Xul, who were to inflexible to change their militancy. Their homeworld remains proscribed by Starfleet to this day. 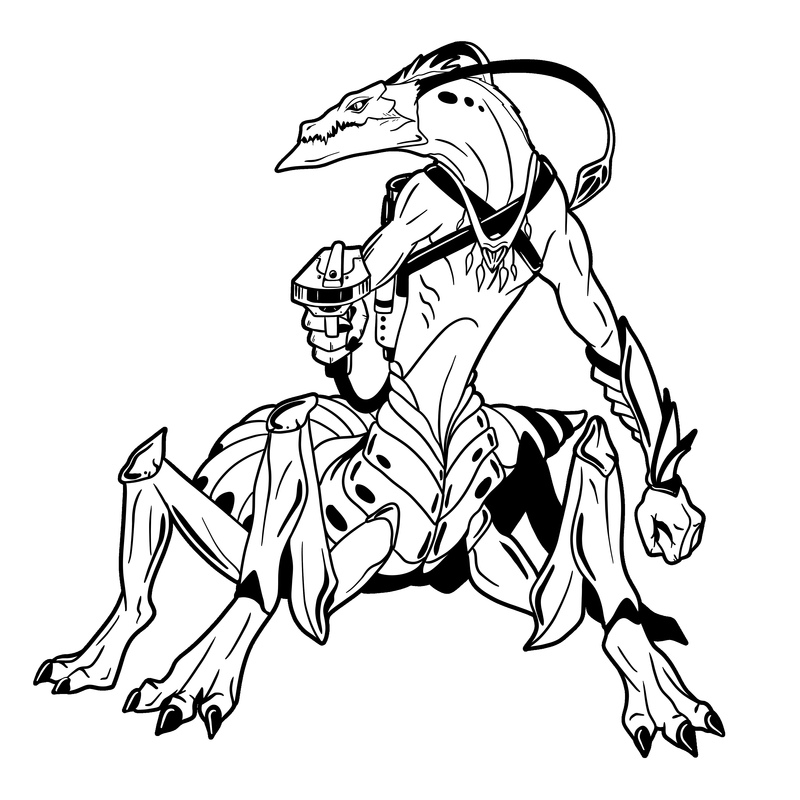 Also located in the heart of the former Romulan Empire is the militantly isolationist (and savage) Xybeth species. These aquatic aliens number in the tens of billions underneath the waves of their waterworld home, attacking each other and any "visitors" from the stars. Studies by the Federation and Klingon Empire have never found a more innately cruel and fierce race. 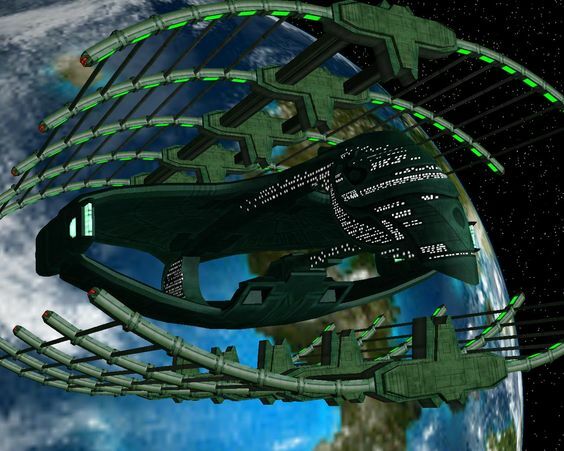 As the Romulan Navy fell apart under the onslaught of the combined Federation-Empire Alliance, the spaceships that guarded this world whittled away until only a few military frigates were left, occasionally blasting the planet and preventing the Xybeth from leaving. Now, the Federation strictly monitors them (from a distance) and enforces the no-fly zone around this world. The Resolute War came to a sudden and shocking end when the Klingon Empire, in retaliation for the Qo'noS Raid, used a new and deadly weapon to destroy a significant chunk of the Romulan Empire. 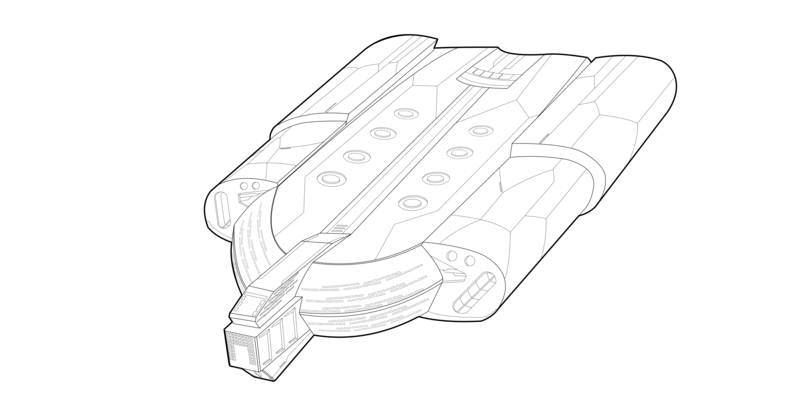 Utilizing one of their new D'Korin-class transwarp battleships, the Imperial Navy fired a exotic-matter torpedo at Hobus, a supergiant star located within the Romulan Empire. The weapons' protomatter warhead instantly detonated the star into a supernova and the D'Korin vessel was able to wrap its transwarp field around part of the flare and directed it outwards at incredible speed. Within a few hours, every world within 100 light years was swept of life and the capital world of Romulus was utterly destroyed, killing billions and billions of Romulan civilians. After this catastrophic blow, it took several weeks for a new Romulan government to form and formerly surrender to the joint Federation/Klingon Alliance. More than 30 billion Romulan civilians were killed in this attack, as well as at least 2 million soldiers; in orbit 12 shipyards, 510 orbitals, and 112 warships were annihilated. Seven major Romulan worlds were destroyed, a total of 18 planets depopulated in mere hours. After this brutal attack, both the civilian and military leadership of the United Federation of Planets was shocked into near paralysis. No one within the Federation knew that the Klingons had developed such a devastating weapon and no official response was ever heard from Qo'noS, despite repeated inquires at the highest levels of government on Earth. Starfleet military strategists pointed out that the Hobus Torpedo was obviously far more dangerous than the Genesis Torpedo; the Hobus was a true superweapon of galactic proportions. Its violent use against the government and civilian population of the Romulan Empire enormously alarmed UFP; to be able to destroy entire sectors of space was appalling in the extreme. Federation warp theorists began studying the after-effects of the weapon and later concluded that the exotic matter warhead paired with a warp-expansion apparatus could wipe out large sections of the Federation with ease and the UFP secretly began R&D into countermeasures to this weapon of mass destruction (WMD). When the Resolute War entered its third year and chaotic fighting was occurring across the Romulan Empire, the Romulan Senate and High Command saw the writing on the wall and began contingency planning for a new Romulan way of life. They did this by preparing an evacuation fleet that would somehow find sanctuary in the deeper reaches of the Beta Quadrant, far away from the current boundaries of the Federation and Klingons. 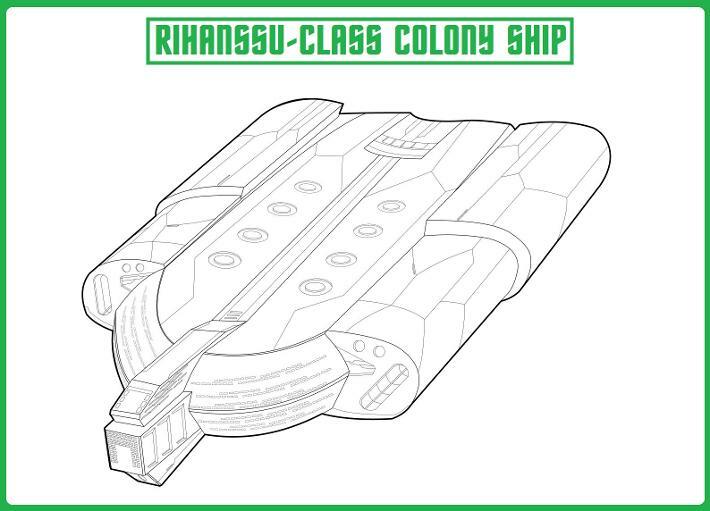 A new large colony ship was designed (the Rihanssu-class) and 12 of the vessels were laid down at the Dimorus Shipyards, with a huge slew of resources allocated for their construction. The first of these ships (the RSS Blacklight) came off the production lines just a few months later. 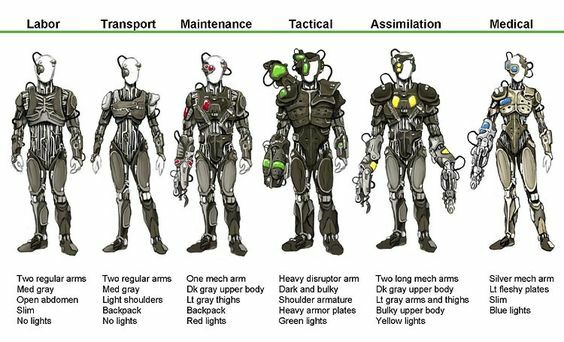 In all, eight were completed before the Hobus Supernova erupted, destroying the final three colonizers (the Forge, Firestorm, and Lance) in their construction bays. 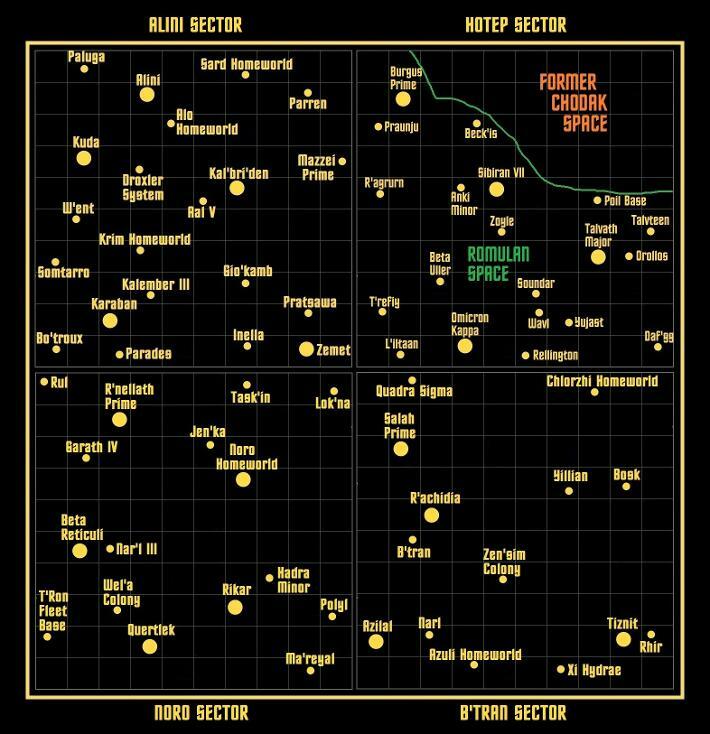 By then, the other ships (the Blacklight, Bloodwing, Pennon, Shield, Starcatcher, Sunheat, T'Hie, and the Vengence) had left the region and were staging in the nearby Algeron Sector when the Klingons launched their final attack on Romulus by detonating the star Hobus. 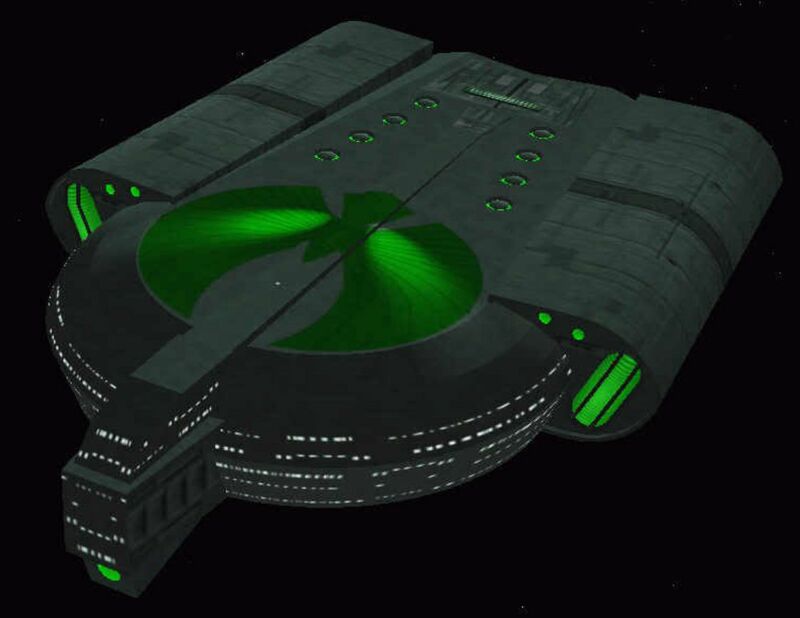 Commanded by now Fleet Admiral Donatra, this refugee force eventually left Romulan space on September 4th 2374, seeking a new homeworld to establish a new Romulan Empire. Each colonizer ship carried 25,000 civilians in stasis and the fleet was guarded by two badly damaged D'deridex II-class battleships, a couple of jumbo-sized cargo vessels, and a few small scout ships. Unfortunately, the dreams of a new Empire came to naught when the Romulan colony fleet strayed too close to the Setisar Nebula and the newly formed Borg Communality. These self-aware Borg refugees knew the dangers of the Romulans and refused to allow a rebirth of their militant empire, destroying all the vessels in a sudden attack on Stardate 67619, thus finally ending the Romulan Empire forever. By the time the Romulan Empire leadership realized that they had truly lost the war the entire Alpha and Beta Quadrants were at a major crossroads. The Romulan military command was unable to field large enough warships to thwart Alliance attacks and even in large numbers the new D'armok and D'Roviss-class destroyers couldn't halt the joined Federation and Klingon advance deep into Empire space. 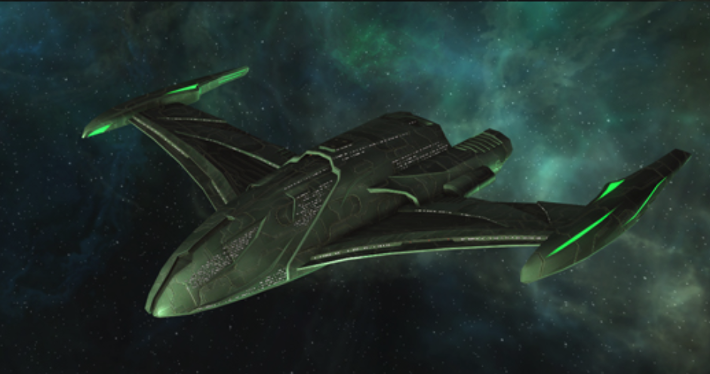 As a last hope the Romulan government began to create colonist ships in order to flee the warzone and start the Romulan Empire anew. 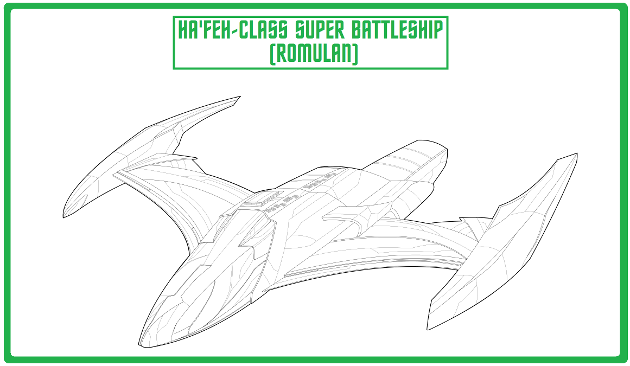 Just 6 months before the final collapse of the Romulan military was also faced with a serious quandary: eight brand new Ha'feh-class super battleships were nearing completion in the shipyards of Romulus itself but they would most likely never see any action. These enormous battlewagons had twice the firepower of a D'deridex II-class warship and had enormous crews. Sadly, the way the war was going it became extremely doubtful that they would be completed and put onto the battlefield before the Senate would have to surrender to the Alliance. With that in mind, construction was halted on the half-finished Ha'fehs' and they were quickly converted to vast cargo carriers. 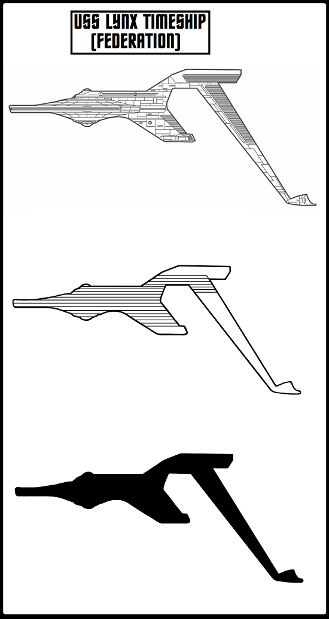 The weapons systems of these super battleships hadn't been installed yet so converting them was easily done, but only two were finalized and joined the Romulan evacuation fleet before the Klingons fired the Hobus Torpedo, wiping out a huge swath of Romulan territory and both Romulus and Remus. 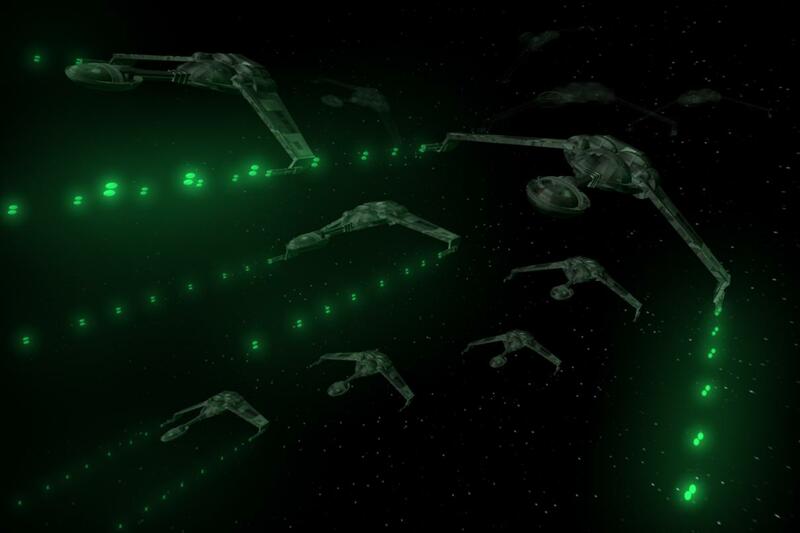 These cargo Ha'fehs' met their end with the rest of the fleet in an attack by rogue Borg vessels but this vessel design impressed the Alliance military leadership when they eventually looked over the captured ship plans. It was estimated that only a few Federation or Klingon warships could battle the brute Ha'fehs' effectively, and the Alliance was grateful to not have to face that option. With the end of the war at hand, the civilian and military losses on all sides was utterly staggering, with the Romulan civil population taking the most casualties; an estimated 60 billion dead and billions more seriously injured. On the Federation side, Starfleet had lost more than 30% of its military-grade starships, and the situation with the Cardassians and Dominion continued to rapidly deteriorate. With that in mind, a rogue faction within Starfleet (Section 31) tried to go back in time using the Federation timeship USS-Lynx (NCC-4600) but apparently their mission to reset recent history failed; they were never heard from again. No significant changes in the current timeline were observed. 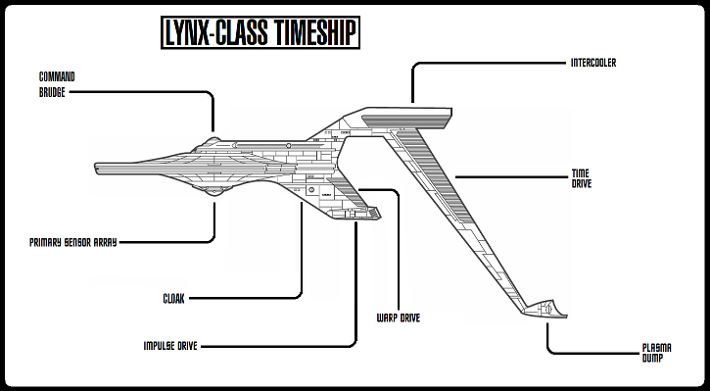 If the Lynx had been successful, Starfleet Intelligence agents believed that the ship would have tried to halt the Resolute War by intervening at the Battle of Nelvana III. 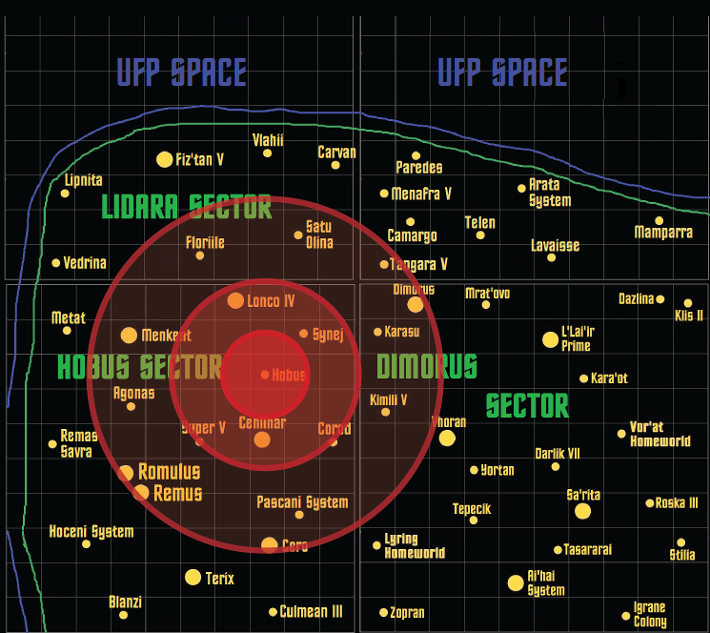 Section 31s secret operation obviously failed and the invasion of Cardassia by the Klingons began taking place later in the fall of the same year, with the Dominion War breaking out shortly thereafter, resulting in over 50 billion official military and civilian casualties by Federation and Klingon after-war estimates.